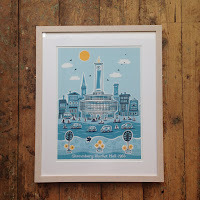 Limited edition print in blues detailed with hand applied gold leaf, to commemorate the halls golden anniversary. 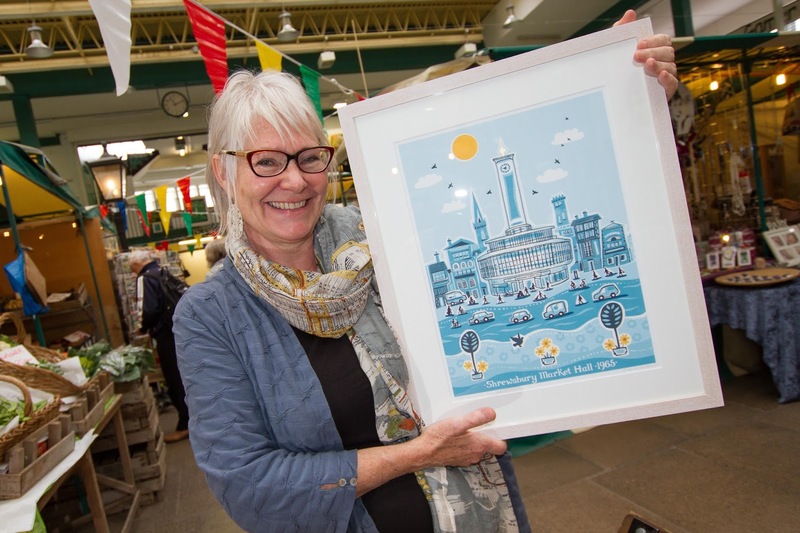 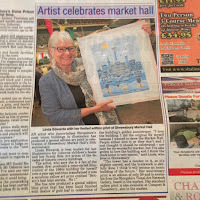 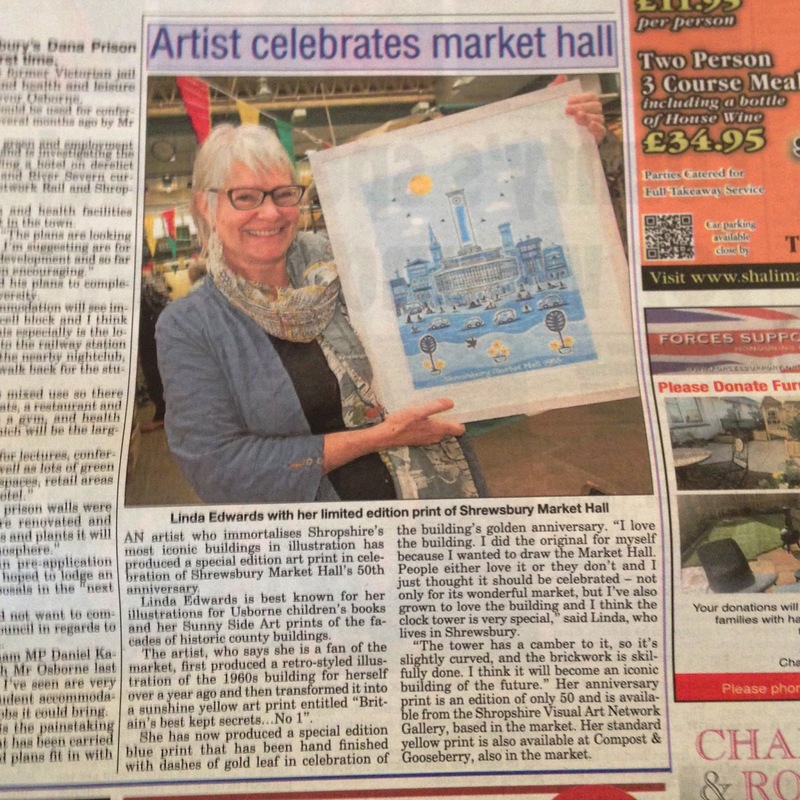 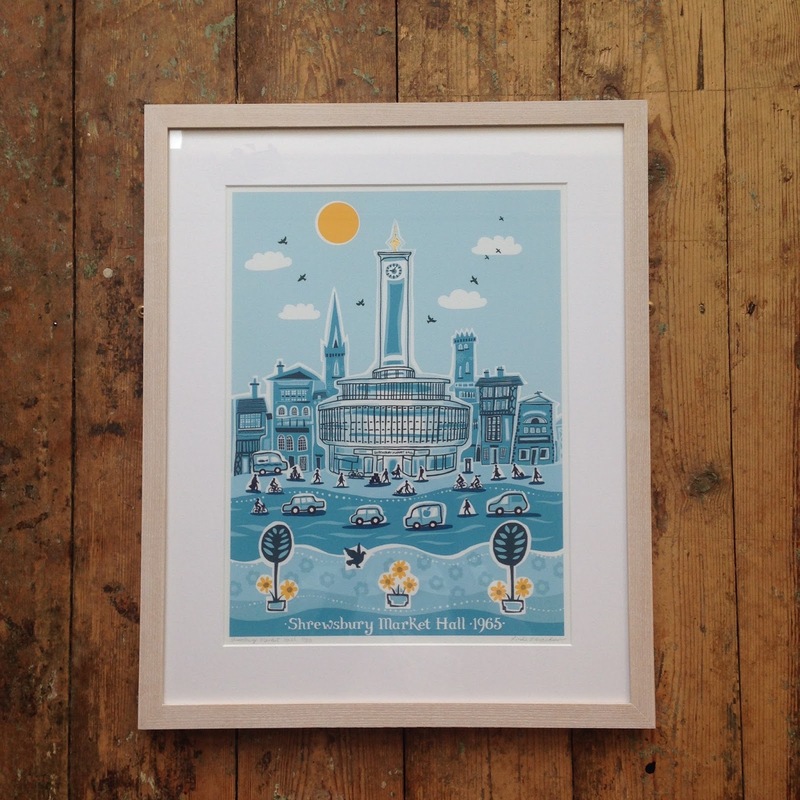 An edition of 50 prints to coincide with the market halls 50th birthday and the clock tower's 50,000 bricks! 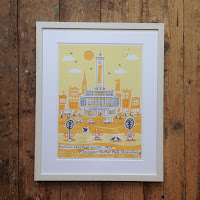 And an open edition print in yellows. 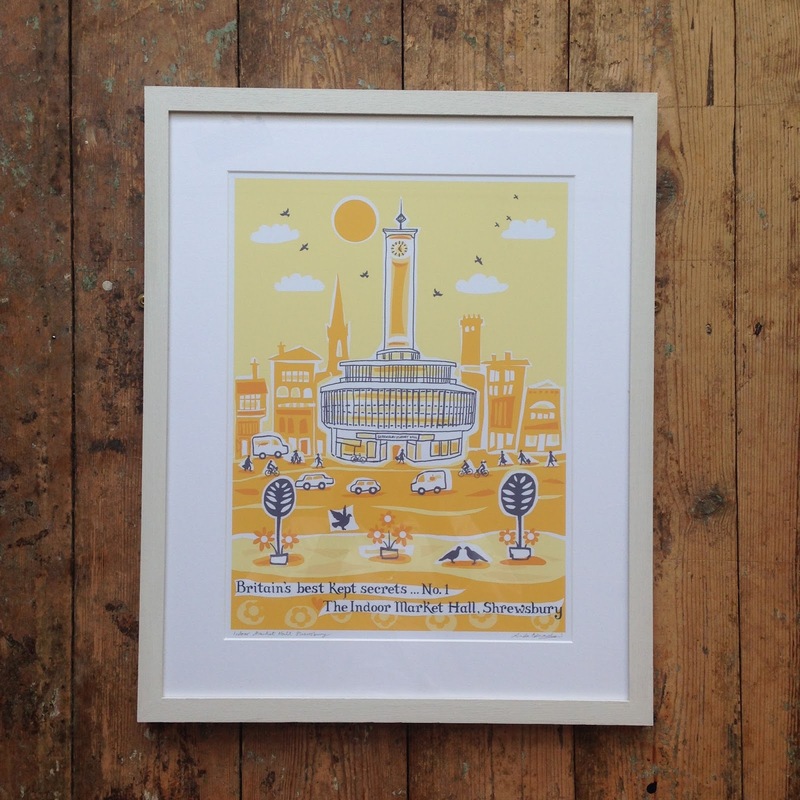 On sale at The Van Gallery.